The iPhone Developers Roundtable - Boston! 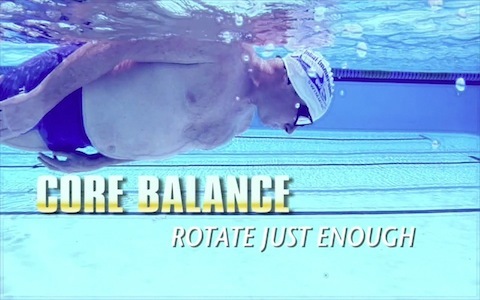 Video Profile by Stefano Salimbeni In Italian. I am working on a subtitled version in English. Meanwhile, please read the *RAW* Google Translate version of the transcript. Giuseppe Taibi, Agrigento engineer, has invented a number, two of which have made the App Store front page. 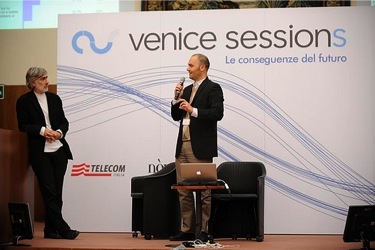 “In this case, and ‘went well’ which together with the founder of ‘Soundtracker‘ and that ‘another Italian, Daniele Calabrese, we found the business manager of the apps for the music, then made a presentation application, he sees many, but ‘that the e; liked so much, so much. Soundtrckr and ‘an application that allows you to create custom radio stations say the user chooses’ … I would listen to a radio station that I know I sound Spare Battsti … Lucius’. Just enter Lucio Battisti and ‘boom’ part of a series of songs that are, or Lucius or similar artists. Taibi, a former researcher in the field of artificial intelligence in 2003 was noted with ‘Invisible Ideas’, by way of a program that was appearing on the virtual museum outdoor handheld computer user works of art according to the points touched from her walk. And again thanks to GPS, ‘GoLearnSkatebording’, the debut of Taibi in the main application window, besides teaching the techniques of skating, shows real-time, specialty stores and theme parks more ‘neighbors. In the past 10 years I logged several trips to Corning, upstate New York (Google Maps), home to my wife’s family and of the mythical Corning Glassworks, creators of many glass based products, from Pyrex to fiber optics. The visionaries at Corning Glassworks produced this video to give us a glimpse of how glass will continue to deliver amazing products in the digital information age. The amazing Museum of Glass is also in Corning. The 2010 edition focuses on mobile and I am happy to help out by leading a session in iPhone application development Nov 12 from 1pm to 6pm. Shopkick, a Silicon Valley startup that “bridges the mobile and retail worlds“, has been awarded $15M of the smartest money that entrepreneurs can ever dream to get (WSJ, TechCrunch, VentureBeat). It is practically a “Grand Slam” of fund raising, starting with angel money from visionary LinkedIn founder Reid Hoffman, followed by an A-series from the iFund, a joint effort by legendary VCs Kleiner Perkins Caufield & Byers and Apple, and culminated with a B-series round led by Greylock, another rare “House of Home Runs” in the VC world. Location-based apps at the intersection of physical retail stores and smartphones are the next big opportunity in mobile. Shopkick will catapult location technology forward, turning offline stores into interactive worlds, and offering retailers and brands the first marketing vehicle that is entirely performance- and location-based. 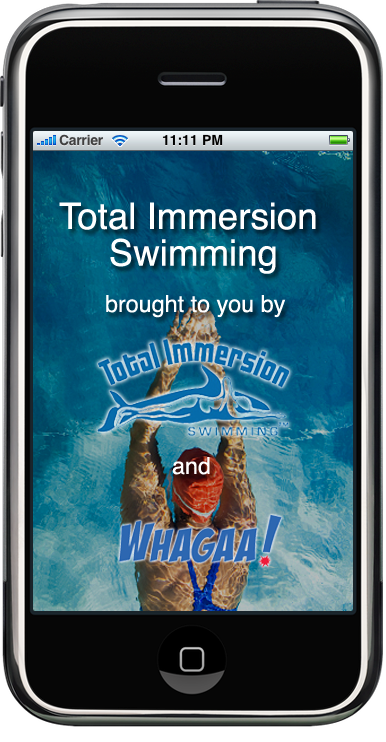 I am thrilled to report that Total Immersion Swimming, the latest app that I built with the stellar team at Whagaa, has immediately ranked #4 paid Sports app on the very first day of its launch! In order to keep my Apple fanboy status, I felt compelled to pay a visit to the iPad on its very first day on earth, at least “for the rest of us”. The trip confirmed and reinforced my positive impressions on the iPad. It is a terrific new device that has lots to offer to everybody. The only soft spot is its weight. Despite being lighter than a laptop, it is still a bit heavy. I don’t know if this will really be an issue in the long term but I am confident that the weight will only be reduced over time. Interestingly, the Apple Store in Burlington, MA that I went to, was sold out of the more expensive iPads, while still a few of the $499 models were available at 5:30pm. The same had happened with the launch of the iPhone 3GS, where the demand for the 32GB model was higher than the cheaper 16GB. 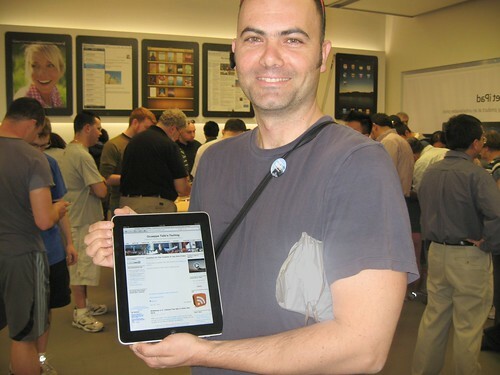 While I did buy the iPhone on the very first day of its launch, I did not walk out of the Apple Store with an iPad. Why? Because I am going to wait for the model that incorporates a video camera. That’s right, folks. Most likely, the next release of the iPad will have the camera. I cannot tell you why and when but I am absolutely certain that there will be a camera on the iPad. This flickr photo and video set say all the rest. Enjoy! The iPad version of the popular Twitter client TweetDeck is now available on the App Store. 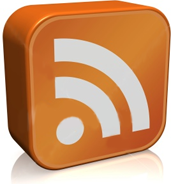 You can see TweetDeck for iPad in action by watching this video. Congratulations to Leeander, Roberto, David, Folletto and Babele! I am very proud of being a Board member of WideTag, maker of WideNoise. Bonus: Enjoy Leeander’s Flickr photostream for SXSW.